When Christmas songs start to fill the air and Santa Claus, Christmas trees and fairy lights appear in every home and public place – everyone knows it’s the end-year festive season.But for you the retailer, it’s peak selling time of the year. How do you display your bulk sale items to tap into the cash flowing around as Christmas shoppers rush to get their holiday merchandise? Dump bins – the freestanding display units designed for shifting and exhibiting fast moving consumer goods – are your answer. From creating additional shelf space to increasing sales and revenue; dump bins are a great retail POS solution especially during peak sales. Here’s why. Displaying products in dump bins can increase sales by up to 427 percent according to research. 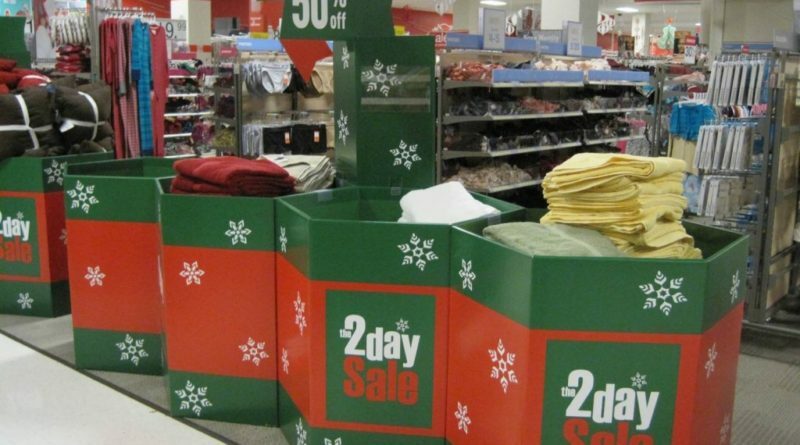 This is largely because dump bins are the cheapest and by far the most effective way to increase impulse buy.These durable display units provide eye-catching product storage spaces that double up as a practical advertising solution on the retail floor. The sturdy, open wire construction allows shoppers to not only see through the entire product selection but also forage through the stock to find their best picks. You can use dump bins in non-traditional sections of your store such as on isles or near checkout points. Buyers who are shopping for items on the regular shelves can often easily be tempted to pick what’s on the display units as well, even when they didn’t originally intend to. Added to the fact that each unit can hold a lot of products, the dump bins bombard shoppers with multiple product choices, encouraging them to buy more. From the retailer’s standpoint, this situation increases the total value of every basket that goes through the till. Dump bins are therefore useful, cost-effective tools at the point of sale. They also alleviate the burden of assorted merchandise that is often difficult to display effectively on shelves. Each display unit can bring together multiple different items, creating huge cross-selling opportunities and maximizing impulse buying among shoppers. Retail outlets tend to receive a lot of foot traffic during peak seasons like Christmas. At such times when space is at premium, dump bins become handy in providing extra vertical storage space especially ideal for hard-to-stack and bulk items. In so doing, they free up significant amounts of space on the shop floor that buyers can use to move around with less congestion. Additionally, the unobtrusive profile of these structures makes them ideal for permanent promotional activities. They are essentially lightweight and movable from one location to another, which makes them convenient to use wherever you most need them or wherever there is excess stock. They come with attractive signage that you can customize to drive sales on various products.Whether you are promoting an offer, seasonal goods or discounted lines, dump bins put your merchandise front and center in your retail space.Their fully customizable designs also mean that you can tailor them to specific offers or promotional programs. What you’re selling notwithstanding – from household items to athletic equipment, kids’ toys to clothing – you can trust dump bins to put your entire product range within the customer’s line of sight to drive sales and boost revenue.